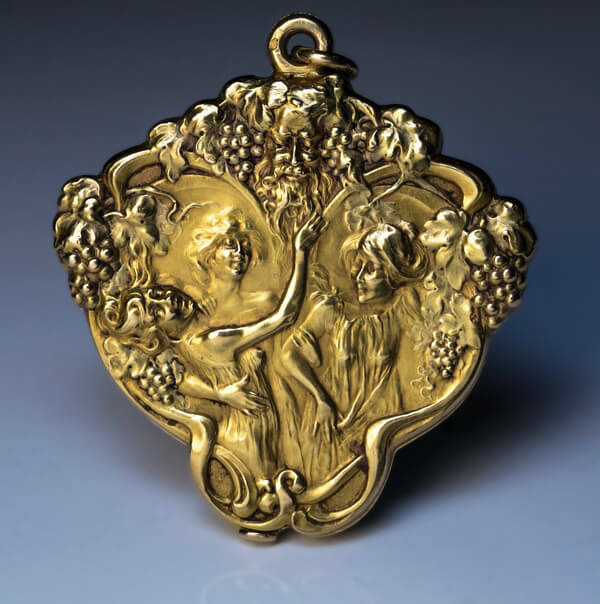 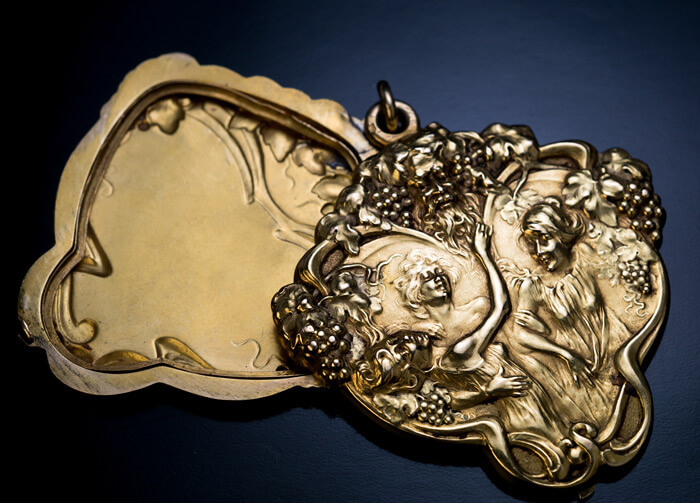 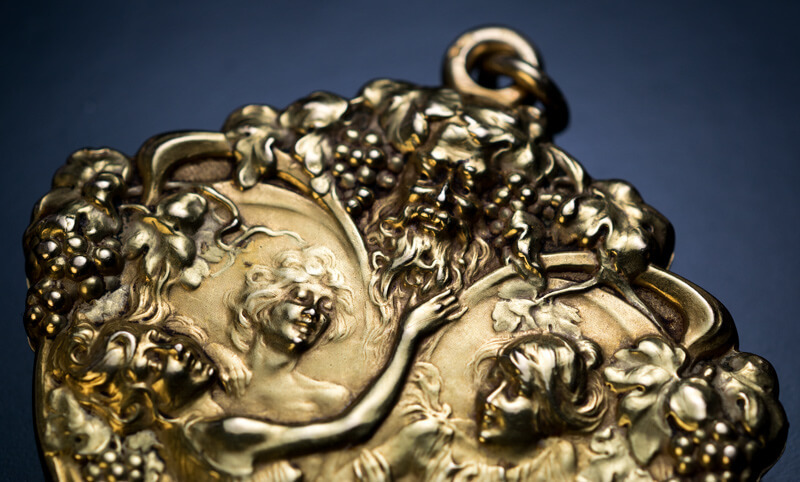 A large 18K gold French slide locket pendant features a scene of the Three Graces flirting with Dionysus (Greek mythological god of winemaking). 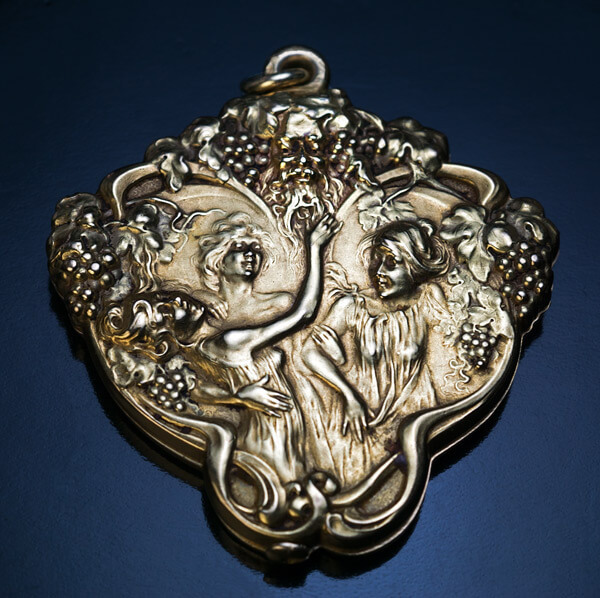 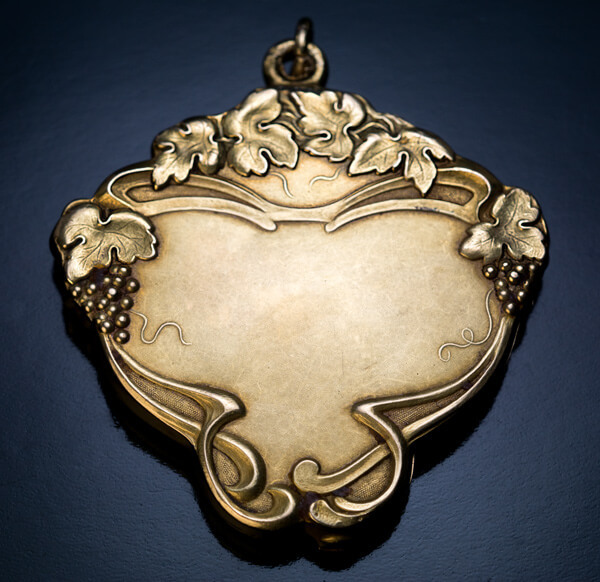 The pendant is conceived in Art Nouveau style. 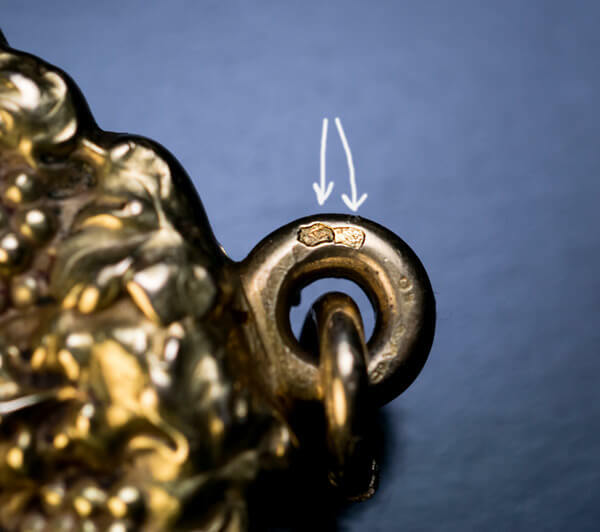 Marked with French eagle’s head assay mark and Mercury head gold export mark.